The year was 1990. Ted Stallings was working his AT-400 on a Gypsy Moth contract, as he had done countless times since forming Aero Tech. Back then, grasshopper, gypsy moth, boll weevil – just about any eradication – was Aero Tech’s mainstay. Business was at an all-time high and Ted was flying lead in a two-airplane formation low in a valley. “He said my airplane starting disintegrating, right before his eyes. First a section of the tail, then wing and the next thing he knew there was a fireball on the cliff of the valley.” Ted recounted the story of the pilot who was flying behind him. By all accounts, including the photos, Ted Stallings shouldn’t have survived that horrific encounter with a transmission line; he did and rebuilt his business ten-fold. Aero Tech’s beginnings can be traced back to the 1960s, when Ted’s father, Chuck Stallings began his aerial application business by modifying a Super Cub in Bovina, Texas. Chuck Stallings was treating mainly row crops and gradually replaced the Cub with Pawnees. In his prime, Chuck Stallings was operating six Pawnees. Ted was born into ag aviation. Flying in his very early years (11 years old to be exact), Ted sprayed his first field at 14 in a PA-11! 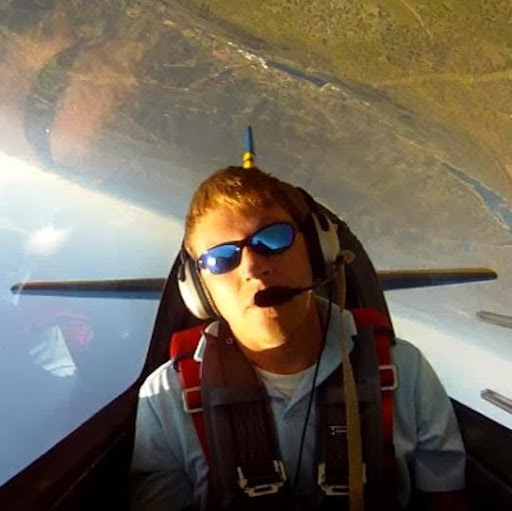 Ted competed in the International Aerobatic Championship at 16 as a student pilot, placing 3rd in the Sportsman Category. Obviously, a natural ag aviator, Ted bought the flying service from his father in the mid-1980s and formed Ted’s Spraying Service. Ted sold the flying service and relocated to Clovis, New Mexico and formed Aero Tech in 1988, right before his accident. By this point, Ted had become very fluent in the procurement of government contracts. Enough so, that the mainstay of his business was pest eradication for the federal government. While Aero Tech was succeeding, Ted Stallings found himself with an unprecedented hill to climb. His accident brought with it a one-year and three-month stay in the hospital. The Aero Tech business suffered during his absence, and once semi-recovered, Ted began rebuilding from the ground-up. AeroTech became a Thrush dealer and started procuring government contracts at a rapid pace. Two Thrushes turned into four, but the fire fighting aspect of Aero Tech called for bigger aircraft with larger payloads. Aero Tech purchased its first AT-802 in 1994 and today operates seven AT-802s. The AT-802s are powered by Pratt & Whitney PT6A-67 power plants and are all single-place except for one dual-cockpit version. The AT-802s utilize Satloc M3 or G4s with CP-11 spray nozzles. Aero Tech has plans to add another AT-802 to its fleet in the near future. Aero Tech’s AT-802s are deployed throughout the lower 48 states and Alaska. About five years ago, Ted and his wife Patty purchased a fishing lodge in Seldovia, Alaska. Ted had been conducting operations in the state since 1988 and felt it a natural progression to expand Aero Tech to Alaska. During the ongoing expansion of Aero Tech, acquiring additional government contracts required a diverse portfolio of equipment. Helicopters were added to the fleet after a Houston, Texas mosquito abatement contract and have served as an indispensable asset in Aero Tech’s work. Animal capture, eradication, aerial fire fighting and air-taxi services are just some of the capabilities of Aero Tech. Their helicopter fleet includes two Bell 212s, a Bell 407 (which is equipped for liquid applications), a Bell 412 and an MD-530, also equipped for aerial applications. Aero Tech’s Bell 412 was featured in the movie “San Andreas”, a recent Hollywood blockbuster. In addition to a fleet of helicopters and AT-802s, the Alaska base is also home to Aero Tech’s turbine-powered amphibious DeHavilland Beaver and Pilatus Porter PC6-H4, both of which are used for personnel, cargo and air taxi operations. Just as Ted was born and raised in aerial application, Ted’s son, Cameron, continues as a third generation pilot. As Vice-President and Chief Pilot of Aero Tech, Cameron started loading airplanes and helicopters before his teen years. He soloed at 16 and obtained his private-pilot certificate at 17. He added his rotorcraft rating at 18 and obtained his commercial-pilot certificate at 19. Cameron instructed in helicopters during his early time-building years, graduating to wildlife surveys for Aero Tech in 2008. Cameron became carded to fight fires with helicopters in 2012. Cameron has his eyes set on the future and plans to continue the tradition of expanding the business as time goes on. Aero Tech’s amazing success-at-the-face-of-near-tragedy story has led the company to its present day expanse of operations. Aero Tech employs 14 people, plus eight contract fixed-wing pilots and eight helicopter pilots. The company’s state-of-the-art headquarters in Clovis, New Mexico is a testament that even in the face of adversity, setbacks are overcome and hard-work prevails.